There was and ad-hoc make up play session on 16 February 2014, at our usual league ground. A total of 5 players managed to turn up and covered quite a few games. As you can see, although only a few games were played, it did have some significant effect on the table. The next make up session is scheduled to happen on 23 Feb 2014. 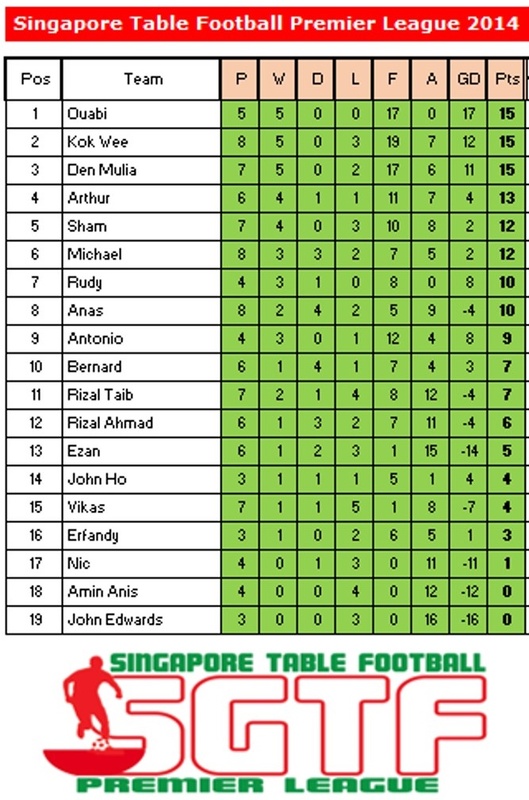 So do drop by Aranda Lounge at Orchid Country Club for yet another day of exciting Table Football action!